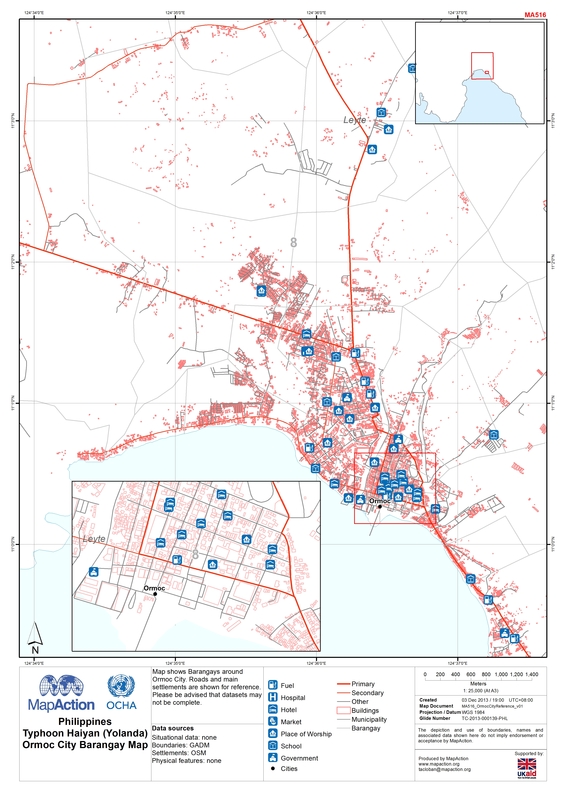 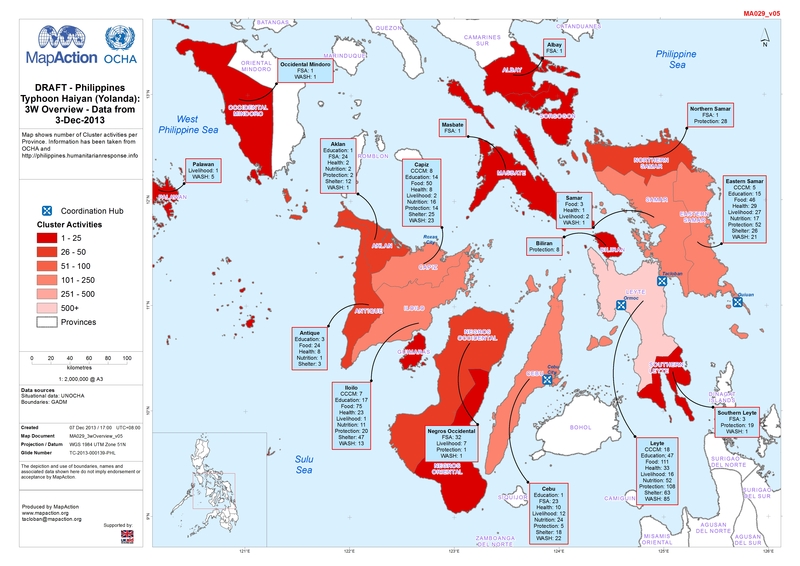 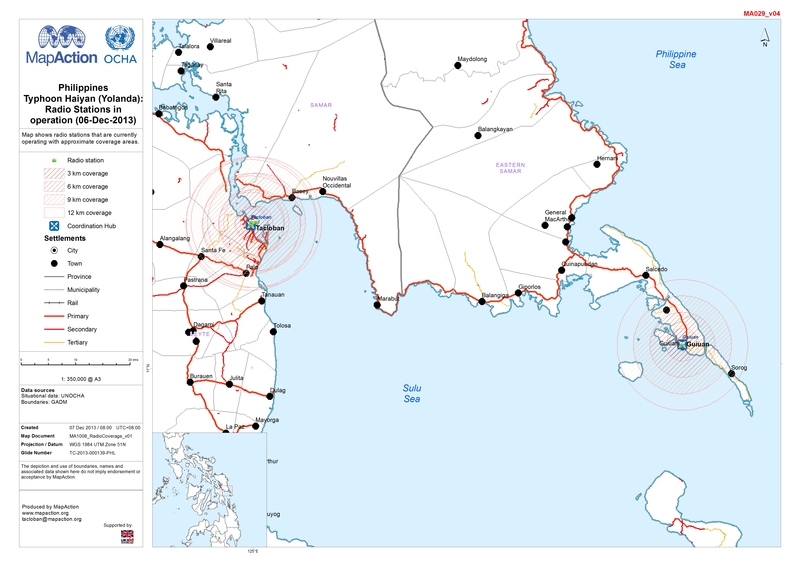 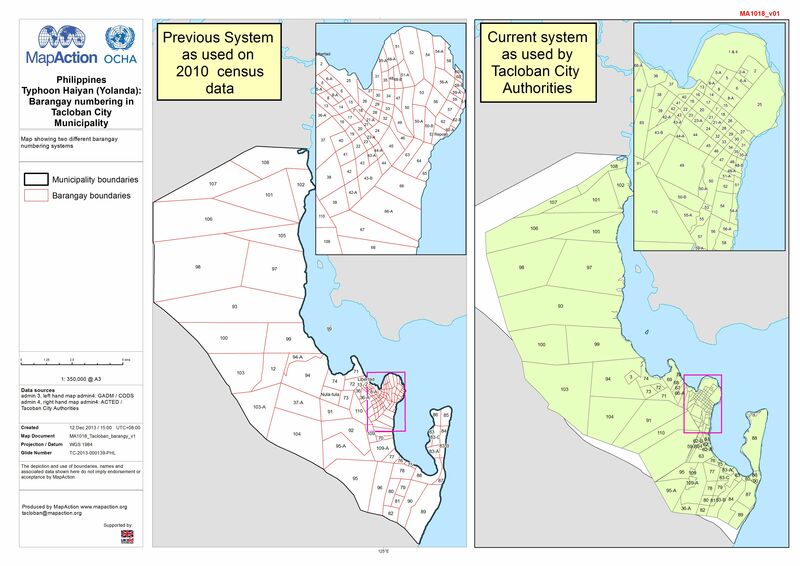 Map shows locations and numbers of humanitarian assessments up to Dec 14, 2013. 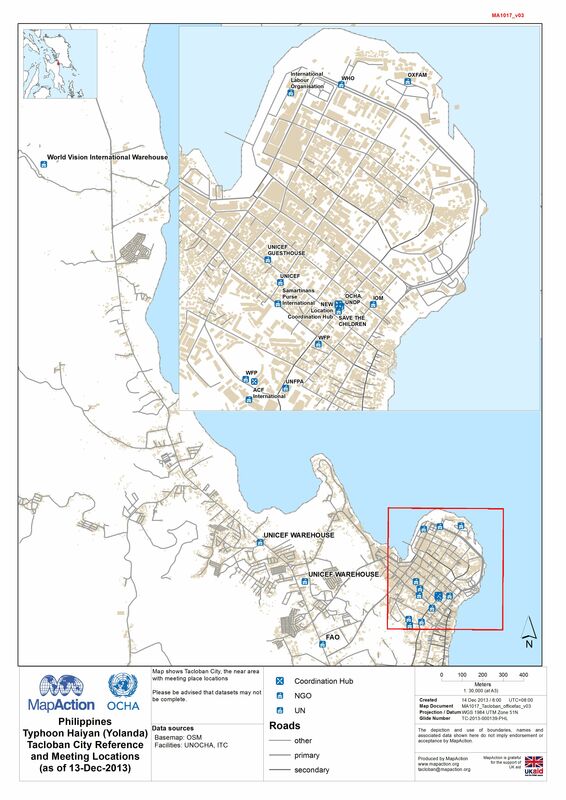 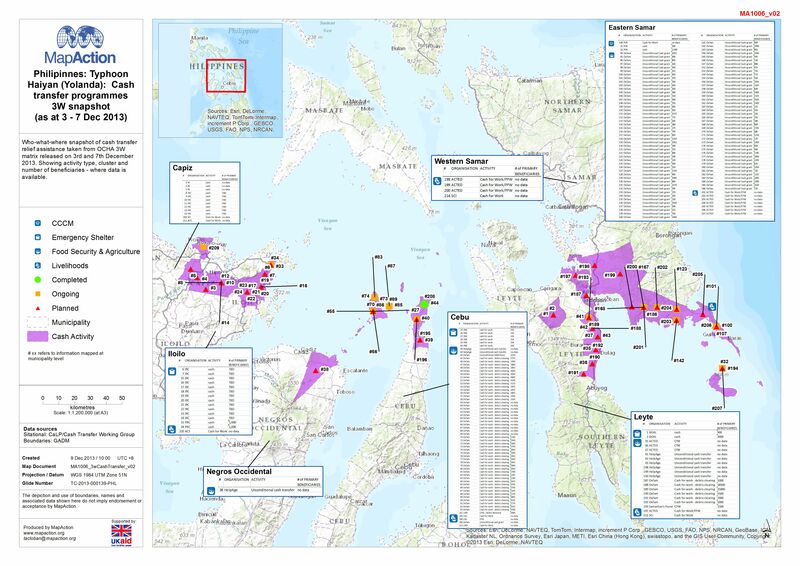 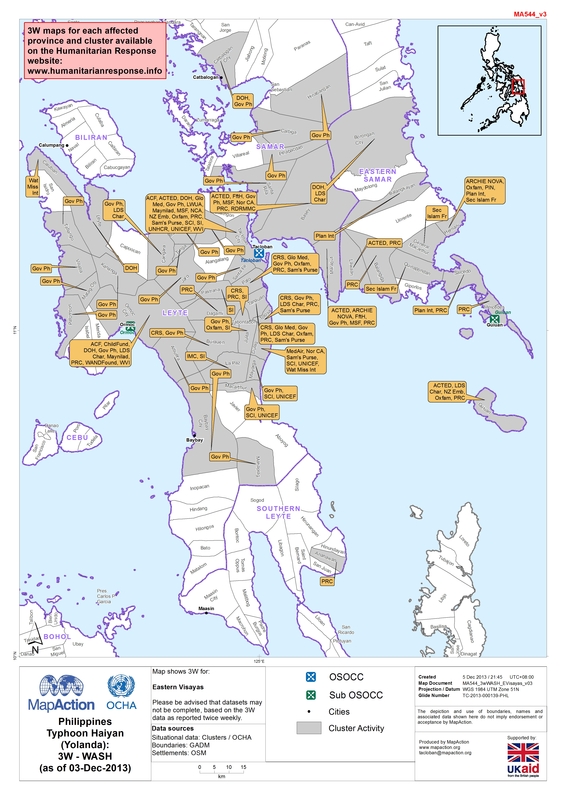 Map shows Barangays around Tacloban City. 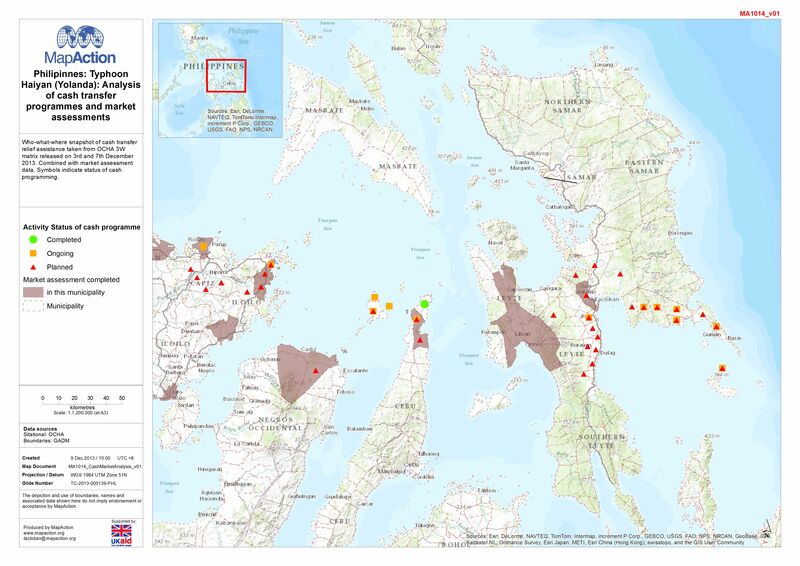 Please be advised that datasets may not be complete and that Barangay borders may overlap locally. 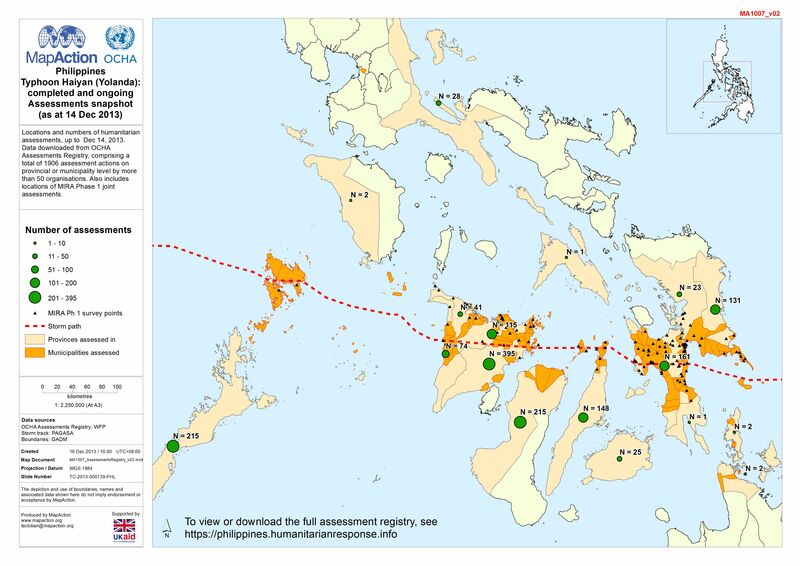 Who-what-where snapshot of cash transfer relief assistance as at 30 November 2013. 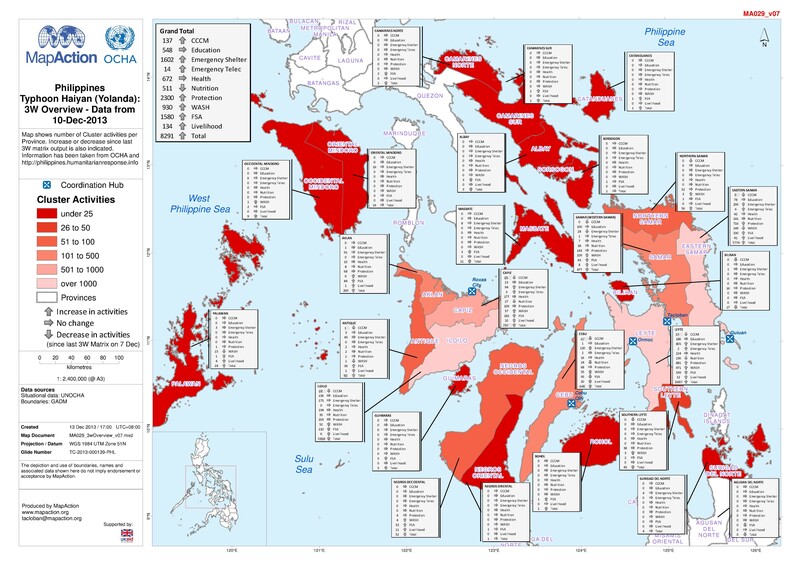 Data provided by Cash Working Group in the Philippines. 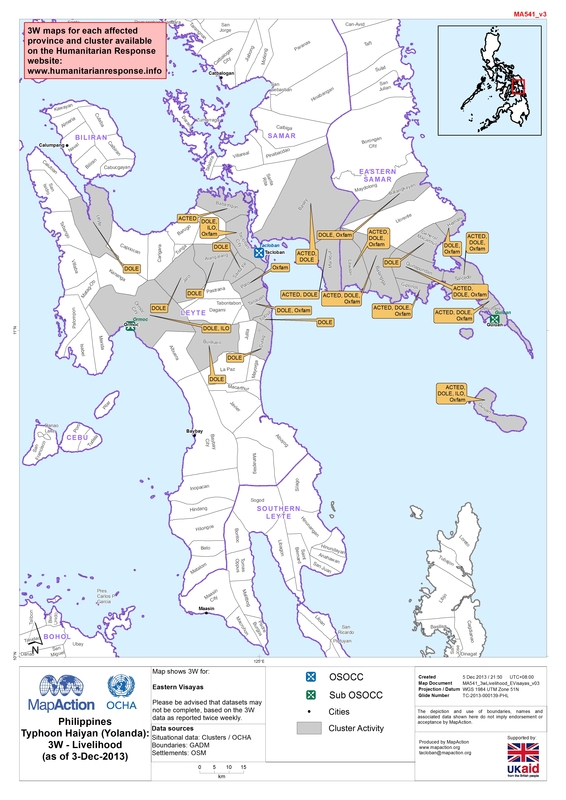 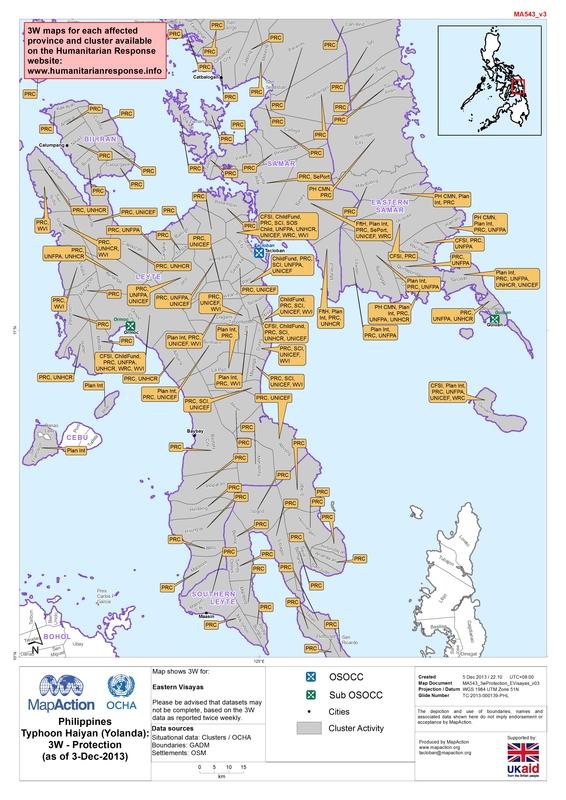 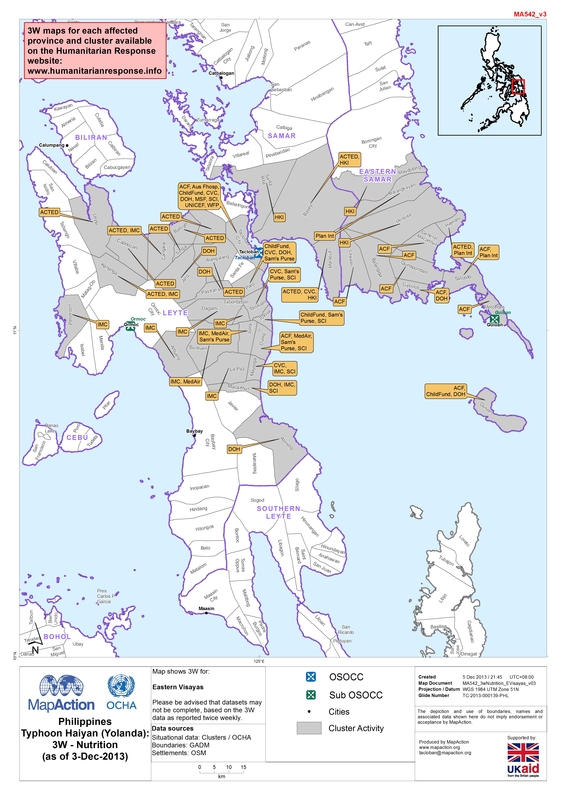 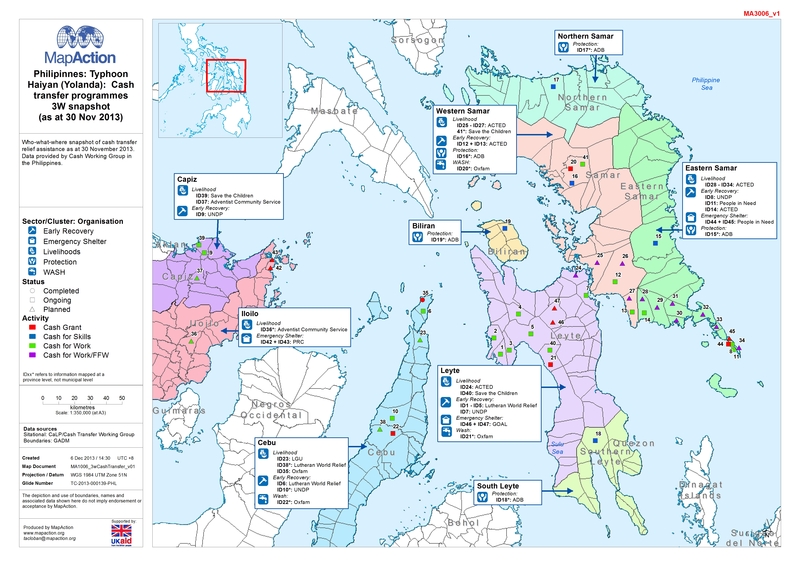 Map shows Barangays around Ormoc City. 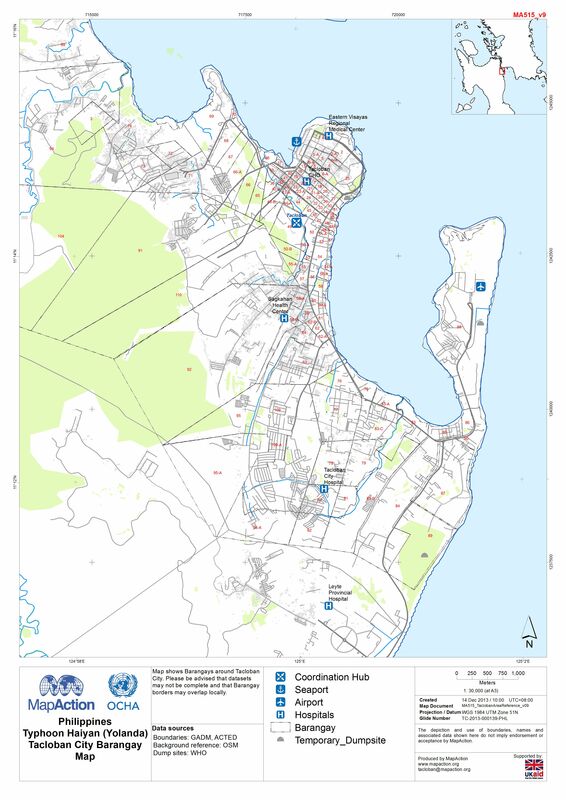 Roads and main settlements are shown for reference.Please be advised that datasets may not be complete.